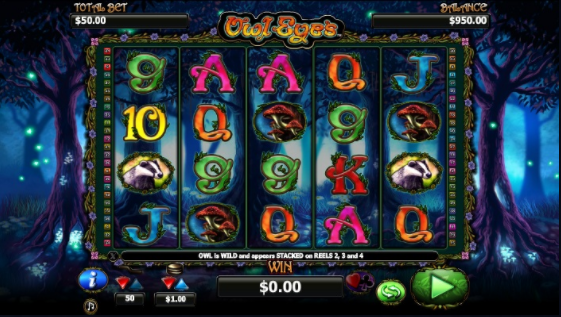 If you love promo's don't forget to check out our latest slot promotions. We’re deep in a forest at night, and the air is alive with magic. 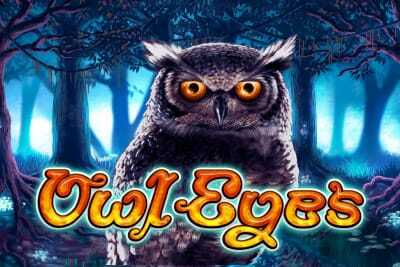 The background to the reels in Owl Eyes is thick with dark purple trees, phosphorescent mushrooms, and fluttering fireflies. The graphics are incredibly detailed, and along with the subtle, realistic forest soundtrack of hooting owls and quietly chirping crickets, it’s easy to imagine you’re actually in the heart of the forest. The sylvan symbols are gorgeously detailed, and include badgers, fly agaric mushrooms (often referred to as ‘fairy toadstools), and kindly-looking tree people. WILDS – the owl symbol, which appears on reels 2-4, substitutes for any symbol apart from SCATTERS. 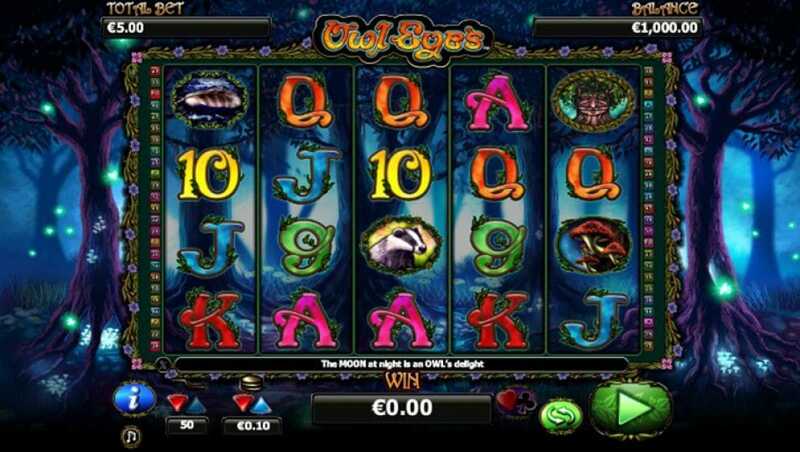 SCATTERS – the SCATTER symbol is a haunting full moon, 3 or more of which trigger 5 Free Spins. During these, additional stacked WILDS can appear. GAMBLE – if you’d like to gamble your win, this feature allows you to select a card colour or suit, awarding a double win if the colour choice is right, and a quadruple win if the suit is right. Spins come with snatches of music that would be fitting for a Tim Burton film, and wins are accompanied by bursts of plucked string music, all of which conjures up a sense of enchantment.